Stoke City goalkeeper Jack Butland has hinted he’d jump at the chance to join Manchester United, after hailing them as ‘the biggest club in the world’. Butland has impressed over recent seasons for Stoke, and the England international is hoping a bigger side comes calling. The youngster returned from a year out with a troublesome ankle injury in April this year to make six appearances for the Potters in the PL campaign. The 24-year-old was putting pressure on Joe Hart to become England’s number one before his injury, and has been tipped as one of the favourites to replace David De Gea at Old Trafford. De Gea has been heavily linked with a move to Spanish giants Real Madrid, and Butland has suggested that he would love to be Jose Mourinho’s number one in the red half of Manchester. 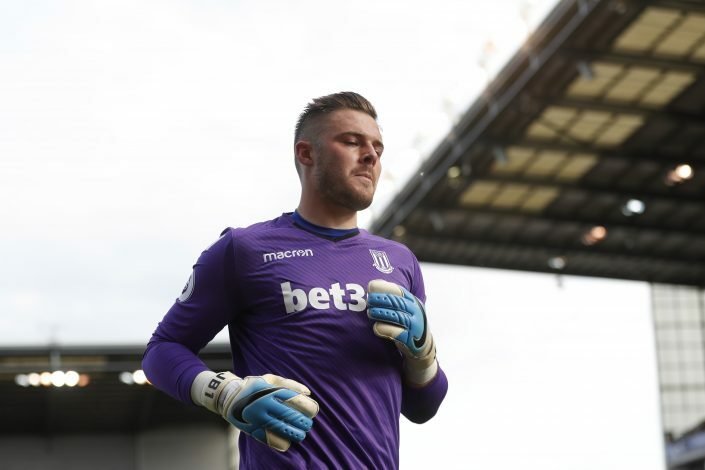 Butland is expected to be a peripheral figure at Stoke this term, and he could soon end up at a big club if his performances continue to shine.